Hey you! Yes, you. Welcome again to Genetics and Beyond (@genesandbeyond)! Today, new scientific facts that will make you think and maybe laugh. Or the other way around. 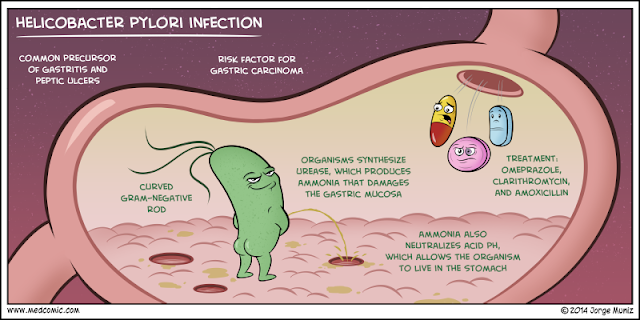 We will talk about the discovery of Helicobacter pylori, previously known as Campylobacter pylori, a gram-negative bacteria found in the stomach and related with several gastrointestinal diseases such as gastritis, gastric and duodenal ulcers and stomach cancer. The name comes from Helico (spiral or helix) bacter (bacteria) for its morphology, and pylori (from pylorus or valve) for its location. The discovery dates back to 1899, when the Dr. Walery Jaworski (1849-1924) from Poland described a bacteria in the human stomach and named it Vibrio rugula. 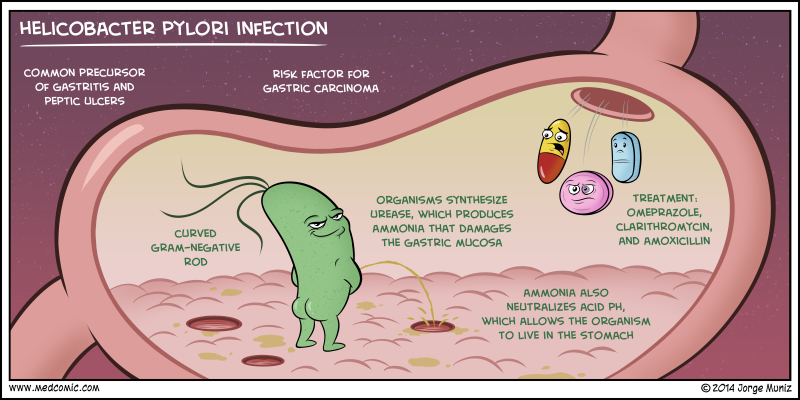 He already theorized about the possible relation of this bacteria with stomach ulcers and cancer. But the fact that he only wrote about it in polish and that people were always convinced that ulcers are caused by stress and spices, buried the discovery for more than 80 years. 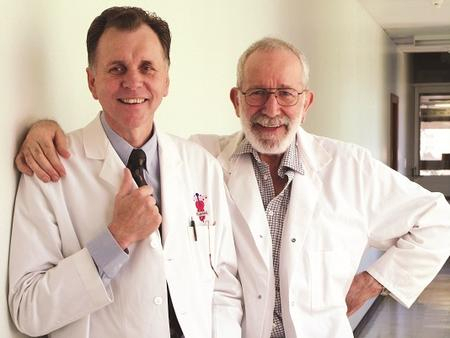 It was back in the early 80's when the Australian scientists Barry Marshall and Robin Warren "rediscover", so to say, H. pylori in the stomach of patients with gastric disorders. So far, everything in the way of a normal discovery. The curious facts come next: first, the bacteria was impossible to grow under laboratory conditions, until they left it five days because of calendar holidays, long weekend of Easter. Then, voilà, the bacteria did just need more days for growing. The second fact, the one that could make us think about the limits in science, was that since H. pylori could not be used in lab mice studies (because it affects only primates) and it is prohibited from experimenting on people, Dr. Marshall found the best patient to test his theory: himself. He took some H. pylori from the gut of an ailing patient, stirred it into a broth, and drank it. Yummy! Result? He got gastritis and stomach ulcers. He was right, some people could think also crazy, but this discovery gave him and Dr. Warren the Nobel Prize in Medicine in 2005. More coming soon at G&B! Thank you for reading!